ATLANTA, GA--(Marketwired - January 22, 2014) - The African-derived folk beliefs of hoodoo and conjuring are summoned in the new exhibition "Renée Stout: Tales of the Conjure Woman" at the Spelman College Museum of Fine Art. Featuring Stout's multimedia works, the exhibition, on view Jan. 30 through May 17, 2014, brings together painting, sculpture, printmaking, photography, glassblowing, installation, and compelling storytelling. With origins in herbal medicine, root work, and a belief in the spiritual attributes of plants and animals, hoodoo has been passed down through generations from slavery to the present. Through an arresting body of works of art, which are intricate and detailed, Stout expresses the magical trait of the conjure woman: the ability to see the world through two sets of eyes -- one on the physical realm, the other on the spiritual. For many years, Stout has used her alter ego Fatima Mayfield, a fictitious herbalist/fortuneteller, as a vehicle to role-play and confront issues such as romantic relationships, social ills, or financial woes in a way that is open, creative and humorous. "Renée Stout: Tales of the Conjure Woman" offers a peek into a fascinating world ruled by superstition and ancestral wisdom. Fatima Mayfield offers her best advice and works her roots. Stout noted her role as artist is to awaken those who experience the exhibition to the unseen forces at work all-around and heighten senses. "[Stout] is doing something that no other artist I've encountered does. It's joyful but serious work, often created in the guise of a permeable alter ego," said Mark Sloan, director of the Halsey Institute of Contemporary Art and exhibition curator. "It occupies a 'shadow world,' known but rarely spoken of, populated by spirits, where Santeria and root medicine are practiced, where fortunes are told." "Renée Stout: Tales of the Conjure Woman" was produced by the Halsey Institute of Contemporary Art and co-organized with Spelman College Museum of Fine Art and the Ruth and Elmer Wellin Museum of Art, Hamilton College. "One of the most enduring qualities of Stout's work is its relentless pursuit of exploration and discovery. Throughout her career Stout has challenged and pushed herself to chart new realms," explained Andrea Barnwell Brownlee, Ph.D., director of the Spelman College Museum of Fine Art. "The multi-dimensional representations of Black women are the topic of ongoing public discussions, examinations, and debates. Stout's work, her practice, and her inventive self-reflection make presenting a solo exhibition of her work at Spelman timely. Atlanta's thirst for engaging contemporary practice makes welcoming her back to the city relevant and irresistible." The exhibition was made possible by the Wish Foundation and the LUBO Fund. Additional support was provided by the Fulton County Commissioners under the guidance of Fulton County Arts & Culture. Exhibition-related programs were made possible with support from the Mary Alice and Bennett Brown Foundation, Inc.
"Renée Stout: Tales of the Conjure Woman" is part of African Atlanta 2014, a citywide year-long series of events highlighting Atlanta as a nexus for reinventing the cultural and economic bonds among Africa, Europe, and the Americas. Renée Stout grew up in Pittsburgh, Pa. and received her bachelor of fine arts degree from Carnegie Mellon University in 1980. Her family worked creatively with a variety of materials: her mother did needlework; her father was a mechanic who enjoyed a tactile connection to his tools; and both of her grandfathers worked in steel mills. Stout's early environment, which was rich in art and lore, helped shape her worldview. In 1985, she moved to Washington, D.C. and began to explore the roots of her African-American heritage. Though she began her career as a photorealist painter, Stout later expanded her work to include mixed media sculpture and installation using found and collected objects. She combines wood, metal, glass jars, and material culture artifacts in many of her assemblages. Stout is interested in the power of objects to transfer ancestral wisdom and healing. Stout's practice includes the creation of imaginary characters whose lives unfold in a variety of media, including painting, mixed media sculpture, photography, and installation. Stout is the recipient of many distinguished awards including the Janet and Walter Sondheim Artscape Prize (2012), the David C. Driskell Prize (2010), Anonymous Was a Woman (1999), and two Pollock Krasner Awards (1991, 1999). Her work has been featured in solo and group exhibitions throughout the United States, and in England, Russia, and the Netherlands. Wednesday, Jan. 29, 2014, 6:30 p.m.
Thursday, Jan. 30, 2014, 11 a.m.
A Community Conversation with Dr. Ade Ofunniyin, cultural anthropologist, curator, Gullah conjuring consultant, spiritual advisor to the exhibition, and contributor to the "Renée Stout" exhibition catalogue. Thursday, Jan. 30, 2014, 6:30 p.m.
Sarah Lewis is a New York-based art historian, curator, and author of "The Rise: Creativity, The Gift of Failure, and the Search for Mastery." Kevin Young is the celebrated poet and Atticus Haygood Professor of Creative Writing and English, Curator of Literary Collections and the Raymond Danowski Poetry Library at Emory University, and contributor to the "Renée Stout" exhibition catalogue. Lewis and Young will discuss their work and engage in a conversation about interdisciplinary projects and the Black female radical imagination. A book signing follows. To learn about additional upcoming programs visit museum.spelman.edu. To schedule a group tour of "Renée Stout: Tales of the Conjure Woman," please contact Makeba Dixon-Hill, curator of education, at mdixon@spelman.edu or 404-270-5607. 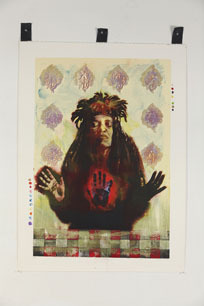 To learn more about the exhibition "Renée Stout: Tales of the Conjure Woman" please visit museum.spelman.edu. To interact with the Museum and its community, share perspective on the College's art collection, and receive the latest Museum news and exclusives, follow the Museum on facebook.com/spelmanmuseum, and twitter.com/spelmanmuseum. Museum visitors are encouraged to check in on foursquare. The Spelman College Museum of Fine Art is located in the Atlanta University Center on the Spelman College campus on the first floor of the Camille Olivia Hanks Cosby, Ed.D. Academic Center at 350 Spelman Lane. For visitors using GPS navigations systems, the following address is to the entrance of Spelman College: 440 Westview Drive, S.W. Atlanta, GA 30310. The Museum is open Tuesday through Friday, 10 a.m. to 4 p.m. and Saturdays, 12 p.m. to 4 p.m. The museum is closed Sundays, Mondays, major holidays, and official College breaks. 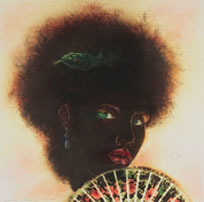 For more information about the Spelman College Museum of Fine Art, visit museum.spelman.edu. The Spelman College Museum of Fine Art is the only museum in the nation that emphasizes art by and about women of the African Diaspora. Since the Museum opened in 1996 it has established an impressive track record for organizing first-rate, mission-specific, art exhibitions that expand contemporary art offerings in Atlanta and the southeast region. 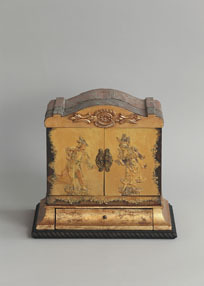 It has garnered a reputation for organizing exhibitions that merit national and international attention. Milestones include being selected as the first institution from the United States that jointly (along with the Contemporary Arts Museum Houston) represented the United States at the 2012 Havana Biennial in Havana, Cuba. The Museum is poised to continue its trajectory of pursuing ambitious relevant projects that have a lasting impact. Founded in 1881, Spelman College is a highly selective, liberal arts college widely recognized as the global leader in the education of women of African descent. Located in Atlanta, Ga., the College's picturesque campus is home to 2,100 students. Outstanding alumnae include Children's Defense Fund Founder Marian Wright Edelman; Sam's Club CEO Rosalind Brewer, Broadway Producer Alia Jones, Former Acting Surgeon General and Spelman's first alumna President Audrey Forbes Manley, Harvard University Professor Evelynn Hammonds, Author Pearl Cleage and Actress LaTanya Richardson Jackson. For more information, visit www.spelman.edu.